A Computer Network and Systems Engineer in Sydney, with a research backgound in wireless networks. I like learning new technologies and applying automation in daily tasks. I also like playing badminton and table tennis. Recently I am trying to relearn piano after not playing for 25 years - a bit different from typing on a computer keyboard. LAN networking: routing, switching, firewall, proxy, VPN and wireless. Windows and Linux server management with VMWare and Azure cloud. Windows and Mac client management using SCCM and Jamf. Automation using shell script, Powershell and c#. Characterising performance of large scale wireless ad hoc networks. Install and configure servers in data centre. Develop C/C++ VoIP telephone system. Being a computer network and systems engineer, I have acquired a large set of skills. I published 17 papers in international conferences and journals when conducting research on the performance on large scale wireless networks. You can find more information about my research here. [J3] Zijie Zhang, Guoqiang Mao, and B. D. O. Anderson, "Stochastic Characterization of Information Propagation Process in Vehicular Ad-hoc Networks," IEEE Transactions on Intelligent Transportation Systems, vol. 15, no. 1, p.122-135, 2014. [J4] Zijie Zhang, Guoqiang Mao, and B. D. O. Anderson, "Energy-Efficient Broadcast in Mobile Networks Subject to Channel Randomness," IEEE Transactions on Wireless Communications, vol. 14, no. 6, p. 2929-2941, 2015. [J5] Guoqiang Mao, Zijie Zhang, and B. D. O. Anderson, "Probability of k-Hop Connection under Random Connection Model," IEEE Communications Letters, vol. 14, no. 11, p.1023 - 1025, 2010. [J6] Guoqiang Mao, Zijie Zhang, and B. D. O. Anderson, "Cooperative content dissemination and offloading in heterogeneous mobile networks," IEEE Transactions on Vehicular Technology, vol. 65, no. 8, p.6573-6587, 2016. [C1] Zijie Zhang, Guoqiang Mao, and B. D. O. Anderson, "On the Effective Energy Consumption in Wireless Sensor Networks," in Proceedings IEEE WCNC, 2010, pp. 1 - 6. [C2] Zijie Zhang, Guoqiang Mao, and B. D. O. Anderson, "On the Information Propagation Speed in Mobile Vehicular Ad Hoc Networks," in Proceedings IEEE GLOBECOM, 2010, pp. 1 - 5. 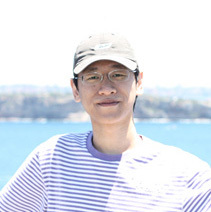 [C3] Zijie Zhang, Seh Chun Ng, Guoqiang Mao, and B. D. O. Anderson, "On The k-hop Partial Connectivity in Finite Wireless Multi-hop Networks," in Proceedings IEEE ICC, 2011, pp. 1 - 5. [C5] Zijie Zhang, Guoqiang Mao, and B. D. O. Anderson, "On the Information Propagation Process in Multi-lane Vehicular Ad Hoc Networks," in Proceedings IEEE ICC, 2012, pp. 708 - 712. [C6] Zijie Zhang, Guoqiang Mao, and B. D. O. Anderson, "On Information Dissemination in Infrastructure-based Mobile Ad-hoc Networks," in Proceedings IEEE WCNC, 2012, pp. 1743-1748. [C7] Zijie Zhang, Guoqiang Mao, and B. D. O. Anderson, "Opportunistic Broadcast in Mobile Ad-hoc Networks Subject to Channel Randomness," in Proceedings IEEE ICC, 2013, pp. 318 - 322. [C8] Li Ma, Zihuai Lin, Zijie Zhang, Guoqiang Mao and Branka Vucetic, "Improving Reliability in Lossy Wireless Networks Using Network Coding," in Proceedings IEEE ICC - CoCoNet, 2013, pp. 322-326. [C9] Li Ma, Zihuai Lin, Zijie Zhang, Guoqiang Mao and Branka Vucetic, "Reliability of All-to-all Broadcast with Network Coding," in Proceedings IEEE Globecom, 2013, pp. 33-38. [C10] Zijie Zhang, Guoqiang Mao, Tao Han and B. D. O. Anderson, "Cooperative Information Forwarding in Vehicular Networks Subject to Channel Randomness," in proceedings IEEE ICC, 2014, pp. 324-329. [C11] Tao Han, Zijie Zhang, Min Hu, Guoqiang Mao, Xiaohu Ge, Qiang Li and Lijun Wang, "Energy Efficiency of Cooperative Base Station Sleep Scheduling for Vehicular Networks," in proceedings IEEE VTC, 2014, pp. 1-5.